Today on the Summer Slim-Down Series, Pauline Hanuise is sharing her favorite smoothie recipes! Pauline is a fellow health coach and brave Balanced Beauty I am honored to highlight to you, as she is helping women all over the world successfully recover from eating and poor body issues. Pauline, openly and candidly, shares her bulimia recovery story to help those struggling with binge eating and deep-rooted destructive behaviors through her Bulimia Recovery Coaching Program. While Pauline’s main focus is helping those struggling with eating disorders, she is incredible in the kitchen and has some of the BEST RECIPES out there! 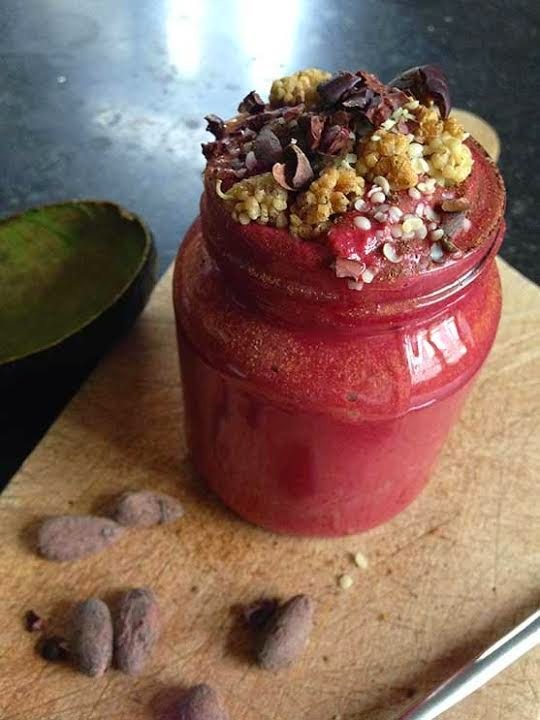 I love her raw, vegan, fruit-filled, sugar free meals and snacks… She makes healthy food the ONLY options you want on your menu- You can find more from Pauline: HERE! Yes! 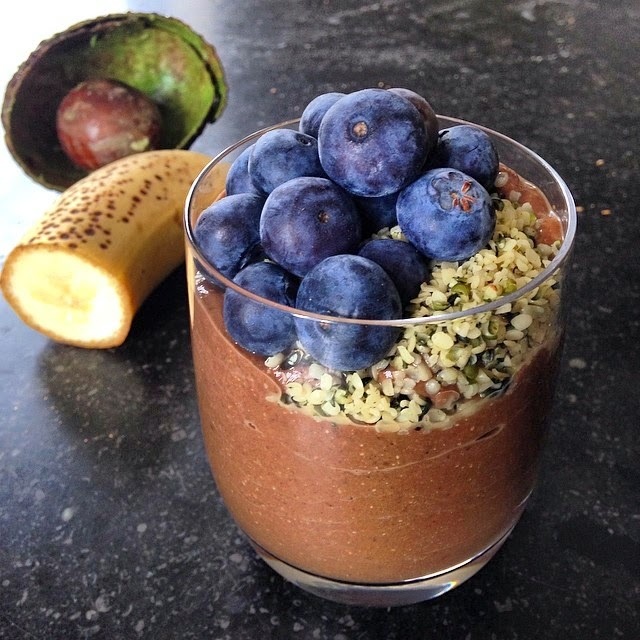 Pauline and I eat “Chocolate For Breakfast” with this amazing smoothie! For optimal health, energy & beauty, we’d all benefit to support our lovely little liver regularly. This beautiful smoothie will do just that!…Oh, and did I mention it was delicious? Keep following the Blog and @1BalancedBeauty for healthy, delicious SUMMER SLIM-DOWN RECIPES throughout the season! * The Summer Slim-Down Series was designed by The Balanced Beauty to give you alternative recipes to the foods you love and crave! Swapping ingredients, sticking to portion sizes and preparing meal/snack options in advance will help you slim down for the warm-weather months… You will be bikini-ready, without feeling deprived! BIG THANK YOU TO PAULINE FOR BEING A VOICE FOR WOMEN EVERYWHERE, AS A BODY IMAGE ADVOCATE.